Harold Hilton was born on 12th January 1869 in West Kirby, near Liverpool in England’s North West. Following in the footsteps of his father he joined the nearby Royal Liverpool Golf Club in Hoylake when he was 8 years old. The Club, which received its patronage in 1871, is the one he was associated with all of his life and where his collection of medals are still proudly displayed to this day. It was fellow Hoylake junior member Willie More that helped him most in his formative years, encouraging him to watch better players and practice as much as he possibly could. He was of course fortunate that Johnny Ball, 8 years older than him and arguably Britain’s greatest ever amateur, was a fellow member of Royal Liverpool and clearly someone to aspire to and learn from. Harold Hilton was one of the very best players for the 25 years between 1890 and 1915. Freddie Tait was the only player of this era he rarely got the better of. Whilst Hilton did beat Tait in stroke play he never beat him in a match play game and this drew a lot of comment at the time. Tait to a lesser degree had the same problem with Ball in match play. His outstanding golfing achievement was winning both the 1911 Amateur Championship and the U.S. Amateur Championship. He was the first player to complete this double and he did so at the age of 42. Until Matthew Fitzpatrick won in 2013 Hilton had been the last Englishman to win the U.S. Amateur. The 1911 U.S. Amateur has gone down in history for two reasons; firstly the manner of the victory and secondly the impact it had on the growth of the game in the United States. The 1911 U.S. 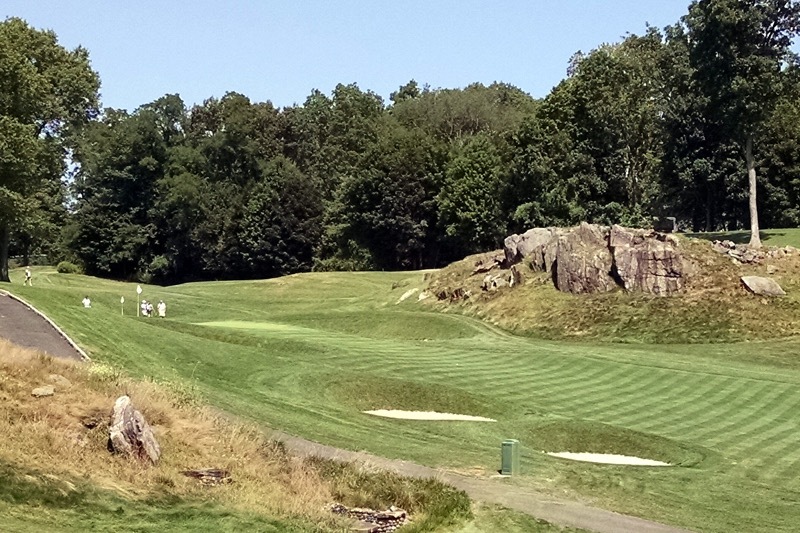 Amateur took place at Apawamis Country Club in Rye, New York State. Hilton won the stroke play by two shots (76+74=150) leading 32 qualifiers into the match play stage. He then reached the 36 hole Final where he faced Brooklyn-born Fred Herreshoff (24). At lunch Hilton led 4Up and he quickly extended this to 6Up early in the afternoon round. Herreshoff fought back bravely and managed to draw level after 34-holes. The American had chances to win on both of the final two holes but putts just missed for him as Hilton struggled for halves. Playing their 37th hole (the par 4 1st), with both players having driven into the fairway, Hilton sliced his 3-wood approach. What happened next remains uncertain. The ball either hit the rocky outcrop to the right of the green (in those days surrounded by trees and rough) or benefitted from a kind bounce on the slope before it. Either way from looking dead off the club face it ended up in the middle of the green 20 feet from the hole. In shock Herreshoff – no doubt thinking he had one hand on the trophy just moments earlier – topped his own approach short and then proceeded to take three more to get down. Despite his experience Hilton nervously two-putted for par, in the end having to hole a 3 footer to secure the Havemeyer Trophy. It was perhaps no coincidence that his success in the Amateur started in 1900, the first year that both Tait (who had been killed that February in the Second Boer War) and Ball (who was still serving in South Africa) were both absent. Hilton also lost three Amateur Finals; in 1891 to John Laidlay (19th hole), 1892 to Johnny Ball (3&2) and 1896 to Freddie Tait (8&7). He achieved an impressive Won 95, Lost 29 (76.6%) overall Amateur Championship record. Between 1887 and 1927, he appropriately started and finished at Royal Liverpool, he played more Championships (33) and matches (124) than anyone else has in history. World War I deprived him of 5 Amateurs between 1916-1919 too. Harold Hilton also won the Open Championship in 1892 (Muirfield, 305 – 66 entrants) and 1897 (Royal Liverpool, 314 – 86 entrants). The 1892 Open was the first played over 72 holes. Just Johnny Ball (the first to do so in 1890), Bobby Jones (1926, 1927 & 1930) and Hilton have achieved this feat as amateurs. All three were members of Royal Liverpool GC. It is in some respects surprising that Hilton won both of his Opens before he had secured an Amateur Championship but he was a renowned stroke player. In total he played in 20 Open’s between 1891 and 1914. 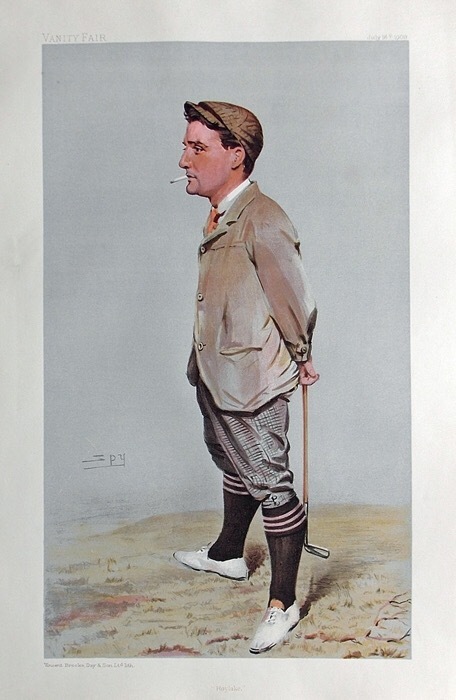 It’s worth noting that Hilton also finished tied third in the 1911 Open Championship at Royal St. George’s with Sandy Herd, one shot behind Harry Vardon, who won the subsequent play-off, and Arnaud Massy. What a hat trick of wins that would have been ! It is easy to forget that many equipment changes took place around the the turn of the century. Hilton dealt reasonably well with the transition, coping better than many of his peers with new clubs such as the Driver and the rubber-cored Haskell ball which replaced the old gutta-percha one. Interestingly of the seven Majors Hilton won the first four saw him use the more exacting gutty whilst the final three were with the easier rubber-core ball. He also won the St. George’s Challenge Cup in 1893 and 1894, a major amateur competition back in the day. He won the Irish Open Amateur Championship three years in a row and in some style too. In 1900 he beat S.H. Fry 11&9 at Newcastle, in 1901 P. Dowie 6&5 at Dollymount and in 1902 W.H. Hamilton 5&4 at Portrush. In October 1910 Hilton (41) played Miss Cecil Leitch (19), a future women’s champion golfer, in a two day 72 hole exhibition match at Walton Heath and Sunningdale. Hilton had publically said he or for that matter any other first class male golfer could give 9 shots to an equivalent women over 18 holes. The Ladies’ Field magazine wanting to see if he could deliver on his word arranged the match and the publicity drew large crowds to the famous courses. Helped by the 18 shots she received Leitch ended up winning 2&1 but Hilton had largely made his point particularly as had been 2 Up after the first day’s play at Walton Heath. 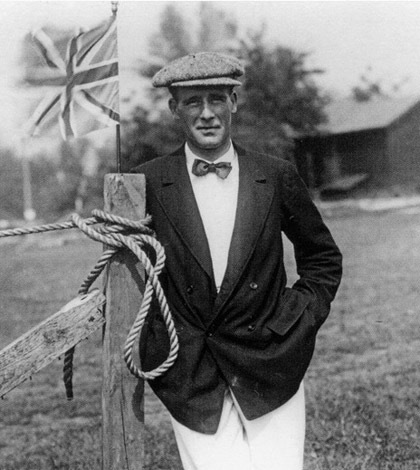 Hilton’s last major win came in 1914 when he won the Golf Illustrated Gold Vase at Sunningdale with a 151 total. As one of the organisers of this event he paired himself with Francis Ouimet, the reigning U.S. Open champion, and proceeded to comprehensively out play him over the 36 holes. Hilton was also a member of West Lancashire Golf Club and was this club’s first paid Secretary in the early 1900’s. He was also Secretary of Ashford Manor Golf Club later in his life. In 1912 he played a leading role in designing the highly regarded Old Course at Ferndown Golf Club in Dorset. The 16th hole is still named ‘Hilton’s’ in memory of his involvement with the Club. He turned his hand to writing about the sport as he came to the end of his playing career. As well as a frequent contributor he was the first editor of Golf Monthly magazine (from 1911) before taking on the same role at Golf Illustrated, then a weekly paper (from 1913). He wrote three books My Golfing Reminiscences (1907), The Royal and Ancient Game of Golf (with Garden C. Smith, 1912) and Modern Golf (1913). The fact that he wrote his autobiography in 1907 is probably down to opportunity but also reveals that at 38 he probably thought his best playing days were behind him. It was in 1903 that he also started to suffer with rheumatism and sciatica. 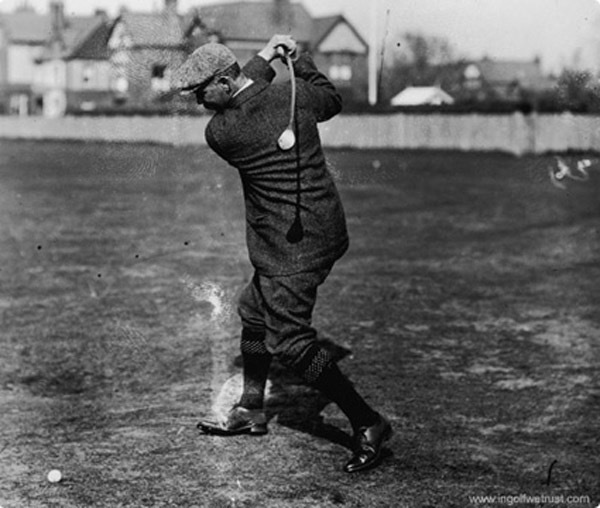 His confidence in his own game was such that he chose not to even enter The Open in 1906, 1907 (at Hoylake), 1908 or 1910. History of course shows how wrong he was to nearly retire from competitive golf. Hilton died aged 73 on 5th May 1942 at his home in Westcote, near Stow on the Wold in Gloucestershire. He had a heart attack but had been suffering with Parkinson’s Disease for some time prior to this. Harold Hilton was admitted to the World Golf Hall of Fame in 1978 in recognition of his outstanding contribution to the game. In 1992 John L.B. Garcia wrote Harold Hilton His Golfing Life and Times. It was published in a limited edition of 750 copies by Grant Books. Royal Liverpool Golf Club inaugurated the Harold Hilton Medal for amateur golfers over the age of 30 in 1997 to commemorate the 100 year anniversary of their member’s famous home Open Championship victory. It is played in early June annually. Whilst small in stature, he was just 5 foot 6 inches tall, Harold Hilton is unquestionably one of the giants in the history of British golf. It is amazing that Royal Liverpool produced first Johnny Ball and then just a short while afterwards Harold Hilton, two of the leading players of the time and looking back a 100 years later two of the biggest names in the history of amateur golf. Copyright © 2014-2017, Mark Eley. All rights reserved.